2. 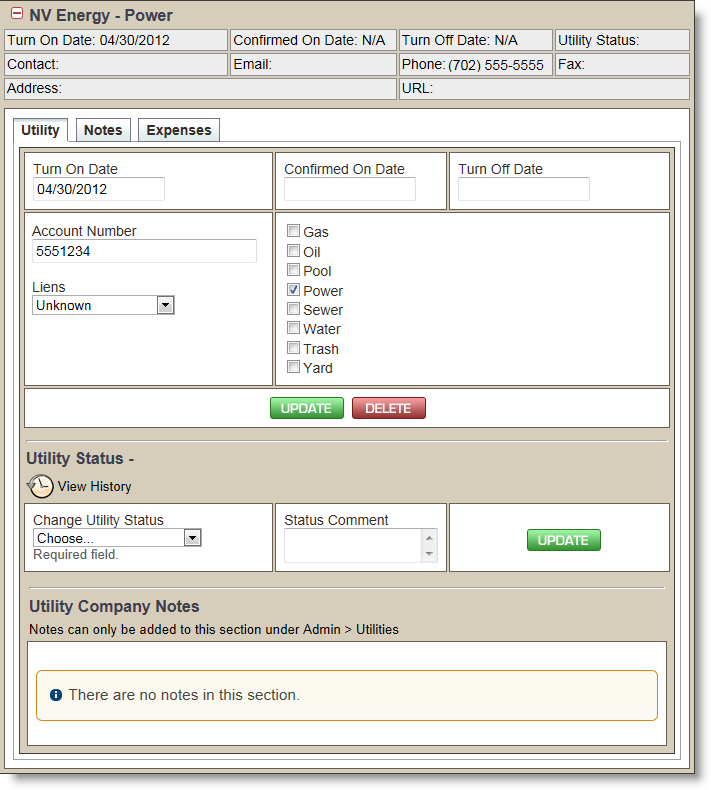 To view the utility information, click the + adjacent to the utility company name. The window will expand as shown below. You will note that there are three sub tabs in the Utility window: Utility, Notes, and Expenses. 3. To update information in the Utility sub tab, click in the appropriate fields, add desired information, and click the green Update button at the bottom of the Utility window. The Utility Company Notes section at the bottom of the screen will show any general notes added about this company from Admin>Utilities. For information on updating Utility Status, click here.